Below you can view all the homes for sale in the The Canoe Club subdivision located in Fayetteville Georgia. Listings in The Canoe Club are updated daily from data we receive from the Atlanta multiple listing service. To learn more about any of these homes or to receive custom notifications when a new property is listed for sale in The Canoe Club, give us a call at 404-998-4170. Canoe Club Amenities Include 2 Lakes For Fishing Or Kayaking, Jr. Olympic Pool, Tennis Courts, And Clubhouse With 24 Hour Fitness Center! MLS#8559818. Berkshire Hathaway Homeservices Georgia Properties. Enjoy All Of The Canoe Club'S Amenities Including Tennis, Pool, 24 Hour Fitness Center, And 2 Lakes For Fishing, Kayaking And Canoeing. MLS#8556275. Berkshire Hathaway Homeservices Georgia Properties. Don'T Miss This Home In This Great Neighborhood! MLS#8553666. Century 21 Meridian Realty. Enjoy All Of The Canoe Club'S Amenities Including Tennis, Pool, 24 Hour Fitness Center, And 2 Lakes For Fishing, Kayaking And Canoeing. Lakeland-Canoe Club MLS#6511578. Berkshire Hathaway Homeservices Georgia Properties. The Canoe Club Amenities Include: Tennis, Pool, 24 Hour Fitness Center And 2 Lakes For Fishing, Kayaking And Canoeing. 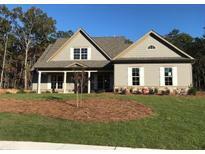 MLS#8523994. Berkshire Hathaway Homeservices Georgia Properties. Community Amenities Included With Hoa Fees Include: Docks For Lake Access/Fishing, Junior Olympic Sized Pools, Tennis Courts, And A 24 Hour Gym. MLS#6129599. Keller Williams Rlty-Ptree Rd. Enjoy All Of The Canoe Club'S Amenities Including Tennis, Pool, 24 Hour Fitness Center, And 2 Lakes For Fishing, Kayaking And Canoeing. MLS#8521925. Berkshire Hathaway Homeservices Georgia Properties. Enjoy All Of The Canoe Club'S Amenities Including Tennis, Pool 24 Hour Fitness Center, And 2 Lakes For Fishing, Kayaking, And Canoeing. MLS#8501233. Berkshire Hathaway Homeservices Georgia Properties. Enjoy All Of The Canoe Club'S Amenities Including Tennis, Pool, 24 Hour Fitness Center, And 2 Lakes For Fishing, Kayaking And Canoeing. MLS#8495297. Berkshire Hathaway Homeservices Georgia Properties. 1 Acre, Fabulous Amenities Pool, Tennis, 24 Hour Fitness And 2 Lakes! MLS#6098042. Berkshire Hathaway Homeservices Georgia Properties. Enjoy All Of The Canoe Club'S Amenities Including Tennis, Pool, 24 Hour Fitness Center, And 2 Lakes For Fishing, Kayaking And Canoeing. 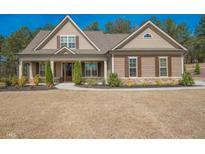 MLS#8436975. Berkshire Hathaway Homeservices Georgia Properties.